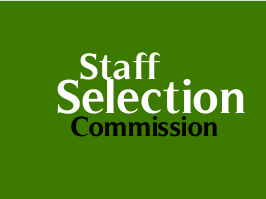 Staff Selection Commission (SSC) has issued exam notification for recruitment of Sub-Inspector (SI) in Delhi Police, Central Armed Police Forces (CAPFs) and Assistant Sub Inspector (ASI) in CISF. The SSC will hold an examination as SI in Delhi Police, CAPFs and ASI in CISF on 20th March 2016 (Paper-I) and 5th June 2016 (Paper-II). No of Vacancies: Vacancies will be determined in due course. Age Limit: 20 to 25 Years. Age Relaxation - 05 Years for SC / ST, 03 Years for OBC, For others - As per GOI Rules. Essential Educational Qualifications (as on 01.01.2016): Bachelor's Degree from a recognised university or equivalent. For the post of Sub Inspector in Delhi Police only - Male candidates must possess and also carry a valid Driving License for LMV (Motor cycle and Car) as on the date fixed for Physical Endurance and Standard Tests. Application Fee: ₹ 100/- for General and OBC Category Candidates. The Fee paid in respect of online applications through SBI Challan / Net banking and any credit and debit cards will be accepted. No fee for SC, ST, Ex-Servicemen and Women Candidates. Selection Process: Written Examination (Paper I and Paper II). The Eligible Candidates will be shortlisted on the basis of their total marks in the Written Examination in Paper- I&II. Candidates will be recommended for appointment by the Commission on the basis of total marks in the Written Examination. There will be no interview component. How to Apply: The Candidates are advised to fill Online Application through SSC Online Portal from 09/01/2016 to 05/02/2016.